Google has just started flagging websites as ‘not secure’ if they don’t have an SSL certificate. Download our free step-by-step guide on how to install one on your website. Did you know that as of July 2018 Google Chrome will start displaying all HTTP websites as “not secure”. I’m Andrew Webber from The Marketing Department, the place small businesses turn for marketing advice and in this video i’m going to show you why your website needs to get an SSL certificate – right now, and I’m going to show you exactly how to do it. Since September 2016, Google has been on a mission to secure the web. In their words, they want to help their users browse the web safely. They’ve been pushing website owners to install SSL certificates and move to HTTPS for almost 2 years now – and July is D-Day for your website. So as a general rule, if Google recommends something – it’s wise to listen. But what is an SSL certificate? To put it simply, the extra “s” in https means your connection to that website is secure and encrypted…. and any data you enter will be safely shared with that website. SSL stands for secure sockets layer – it is technology that keeps sensitive information like credit cards, usernames and passwords out of the hands of cyber criminals and hackers. First, the SSL encrypts, or scrambles data while it passes this data between websites or web servers. Once the data reaches the intended recipient it is then unencrypted. Your website’s SSL certificate also tells visitors that you are the verified and legitimate owner of your website. What are the benefits of switching to a secure website? One potential issue that can cause your website and your business some serious trouble. And that is, if you don’t install your SSL correctly, your website could potentially lose all of your rankings in Google. Google treats this new HTTPS version as a completely DIFFERENT version of your website. So unless you have the correct redirections in place, your site could drop down the rankings, and you could lose all of that Google search traffic you’ve worked so hard to get. You need to tell Google, using their language that your new site is now located at a different address. Fortunately, we’ve created a step by step guide showing you exactly how install an SSL certificate on your website, and implement a seamless redirection strategy – all without losing your Google rankings. You’ll have your website marked as ‘secure’ in no time! 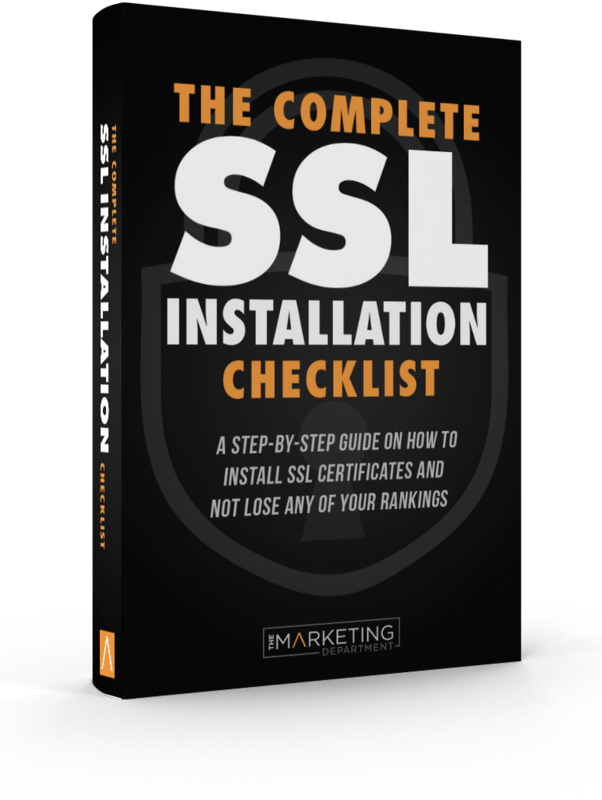 All you have to do is download our step-by-step SSL checklist below. However if you are not familiar to web design, I highly recommend contacting your web developer or SEO team before switching over to SSL and getting their assistance. As always if you need any help, leave me a comment below right now! An easy and understandable step by step process. Thanks for sharing the benefits of having SSL to a website.